Global electricity networks could become smart grids that can help us monitor and control our energy usage, if plans from net firm Cisco take off. The giant US firm, whose technology helps underpin the net, is building a two-way link into electricity grids. Smart grids would allow devices to communicate with utility firms to give an accurate view of energy use that could cut CO2 emissions by 211m tonnes. Cisco believes the market could be worth up to $20bn a year. The basic premise is to link different parts of the electrical grid - from a single home to the largest of power stations - using a customised network based on internet protocol (IP). Cisco says the proposal would be a "once in a generation capital investment". With the rising cost of electrical power and concerns about how that power is generated - especially when it comes to fossil fuels - a number of other firms are also making a bid to modernise the electrical networks. IBM launched a range of embedded software applications, although these communicate through the regular internet, rather than via the mains; General Electric and a number of new start-up firms are also making bids to capture a slice of the market. Cisco says its system is different, because it would send the IP data down the power lines themselves, rather than using the internet. Security is also a factor. In April the Wall Street Journal reported that hackers had penetrated the "US electrical grid and left behind software programs that could be used to disrupt the system". Speaking to the BBC, Neil Harris - Cisco Europe's head of green IT - said it would be harder for hackers to penetrate the new network. "It won't make it invulnerable, but as the network is separate from the net it adds a new layer of resilience," he said. "We expect to see a rise in micro-generation, not just in Europe, but round the world, and the smart grid would be able to handle the bi-directional flow of data and electricity." However, the existing grid is not exactly empty. 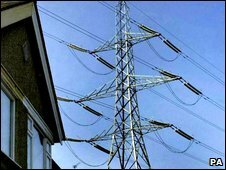 Stewart Larque, a spokesman for the UK's National Grid, said it already monitored the main power network. The problem, he said, arose when it came to dealing with individual streets. "We have a lot of detailed information on what's happening on our network at any given time," he told the BBC. "We can see everything down to the substations, after that it's down to the distribution companies. "And there is only so far they can see. 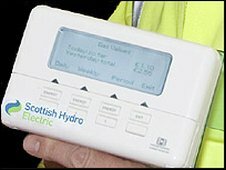 Sometimes they won't know that there has been a small power cut until the users phone them to say there is a problem." Mr Harris says the new system could address that issue. "One of the aims is more agility in distribution. The packets would carry information on the health of the network - just as they currently do on the internet - and you could use this data to spot operational issues or even a malicious attack," he said. Cisco says that the network would not just benefit the utility companies. "Ultimately, this can help users see where their power is being used and from that you can see where it is being wasted and thus save on your electricity bills."